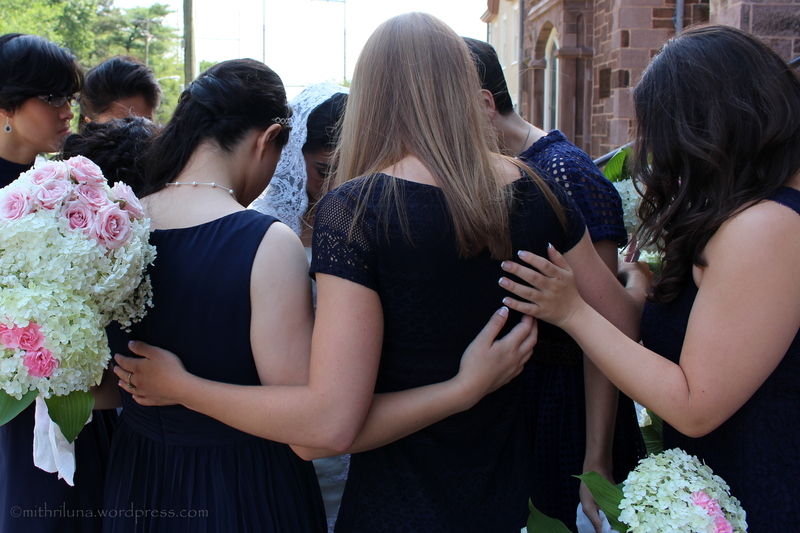 Bridesmaids are a picture of serenity as they take a few moments to pray with my daughter minutes before she walks down the aisle at her wedding. Thank you. It was special. How lovely – a beautiful moment captured. Thank you Tina. Yes, it was a special moment. That was beautiful. It brought tears to my eyes. So sweet Martha. Thank you. Thank you Al. Yes, she is really blessed.